Explanation: Four hundred years ago today (May 15, 1618) Johannes Kepler discovered the simple mathematical rule governing the orbits of the solar system's planets, now recognized as Kepler's Third Law of planetary motion. 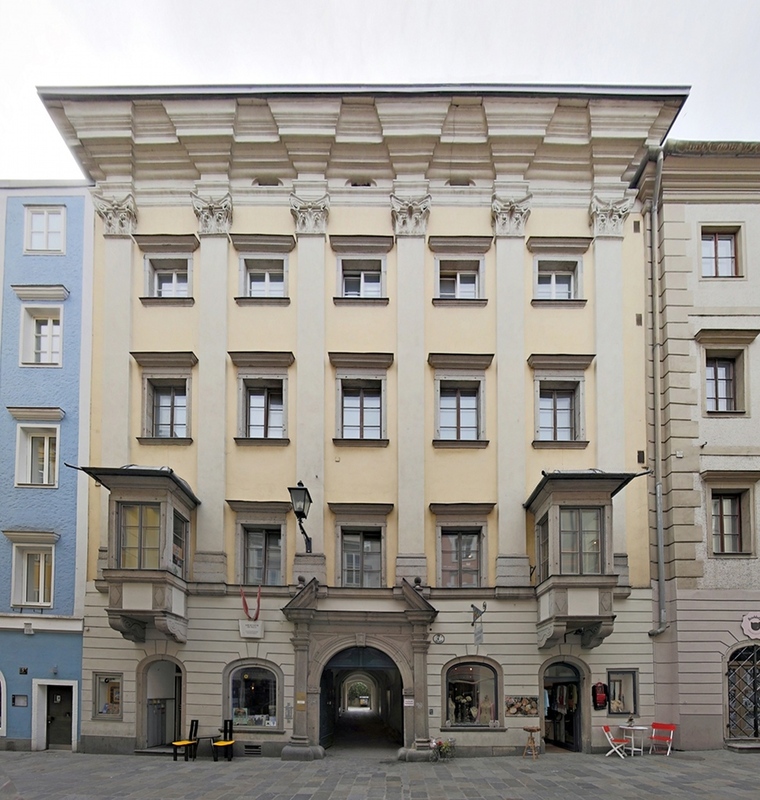 At that time he was living in this tall house on The Hofgasse, a narrow street near the castle and main square of the city of Linz, Austria, planet Earth. The conclusive identification of this residence (Hofgasse 7) as the location of the discovery of his third law is a recent discovery itself. Erich Meyer of the Astronomical Society of Linz was able to solve the historical mystery, based in part on descriptions of Kepler's own observations of lunar eclipses. A key figure in the 17th century scientific revolution, Kepler supported Galileo's discoveries and the Copernican system of planets orbiting the Sun instead of the Earth. He showed that planets move in ellipses around the Sun (Kepler's First Law), that planets move proportionally faster in their orbits when they are nearer the Sun (Kepler's Second Law), and that more distant planets take proportionally longer to orbit the Sun (Kepler's Third Law).